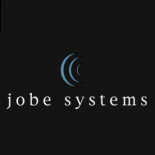 Jobe Systems was founded in 1995 and employs 35 professionals. Jason Jobe, CEO/President describes his experience in the Consumer Electronics industry and as a member of Azione Unlimited. Jobe Systems’ business philosophy is firmly rooted in the Leonardo Da Vinci quote – “Simplicity is the ultimate sophistication”. Our job is to take all of the existing complex systems found in a residence and simplify them to enhance the clients’ lifestyle and ability to manage their properties. Jobe Systems’ almost 20 year success profile is a testament to the validity of this philosophy – especially when properly executed by the most experienced and conscientious team in the industry. company specializes in custom audio, video, cinema, lighting, and control and now has over 2000 clients internationally. Jobe Systems’ growth has been remarkable as it has remained continuous through challenging economic times and has primarily been driven by client referrals.